The author of Aboard the Democracy Train gave a presentation of her book at an event sponsored by the Pakistani community in Missouri on Jan. 20. 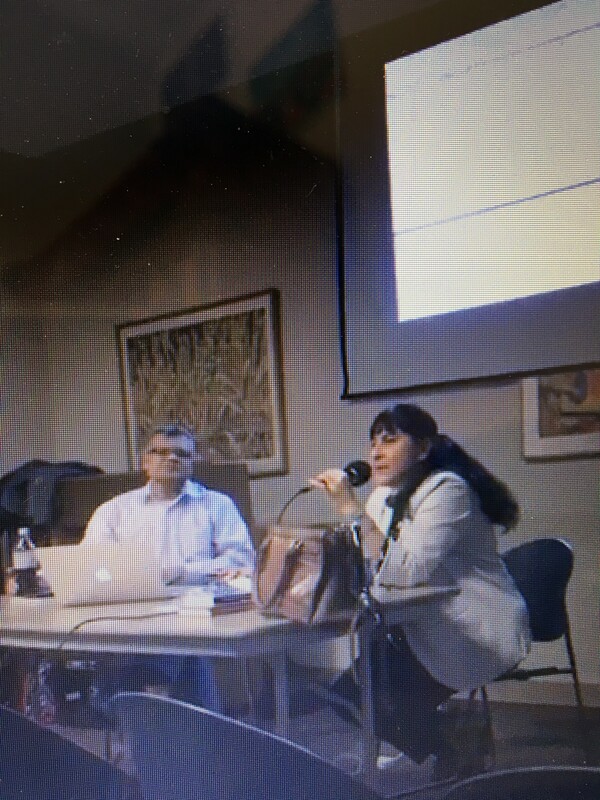 Held at the Ethical Society of St. Louis, Nafisa Hoodbhoy was the guest speaker during a two hour long session that explored specific topics relating to the effects of partition on Sindh, the ethnic divide that occurred during the 1980s and terrorism. Over the course of the presentation, the author talked about her front line view of the manipulation she had witnessed from Islamabad to divide people on the basis of ethnicity and political affiliation. Confining herself mostly to the period between 1988 to 1999, she spoke of how Pakistan had since inception worked to `manage’ the teeming masses who had migrated to the country from India in 1947. Program convener Dr Nadeem Rizvi was on hand to address the underlying question facing the expatriate community – namely why Sindhis, Mohajirs, Pashtuns and Punjabis remain divided even when they migrate overseas. Afterwards, the author answered questions from the audience. They included Americans who had little knowledge of Pakistan’s politics but were keen to talk about the US relationship to that country. That evening, the author had the opportunity to address a larger gathering of the community – including women – at a local hotel.